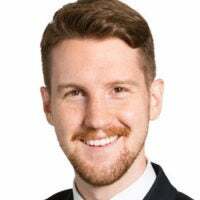 Riley Walters is a policy analyst in the Davis Institute for National Security and Foreign Policy at The Heritage Foundation. 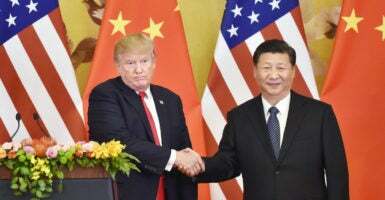 China’s economic growth has been slowing down, but it was slowing down before President Donald Trump entered the White House, and it will continue to slow down, regardless of whether the U.S.-China trade dispute continues or not. Supporters of the administration’s trade policy often cite the decline in China’s largest stock market, the Shanghai Stock Exchange, as a measure of China’s “economic” weakness. This weakness is presumably one reason why the U.S. could win a trade war with China, but it’s important to remember that stock markets are not the economy. Using the stock market as a measure of economic failure or success can be misleading. Stock markets don’t capture the economic activity of companies not listed on an exchange, let alone all the economic activity in a country—less so in China than in the U.S. The Shanghai Stock Exchange is roughly valued at more than $4.1 trillion. China’s gross domestic product is measured at more than $12.2 trillion. Moreover, comparing the stock markets in China and the U.S. is like comparing apples to oranges. The New York Stock Exchange is valued at more than $28 trillion and U.S. GDP at $19 trillion. Not only do China’s stock markets represent less of the country’s economic activity, are less efficient, and have greater volatility, they’re more prone to government interference. Since January, the Shanghai Stock Exchange Composite Index has decreased roughly 30 percent when measured from its highest to lowest valuation. But this is not even a snapshot of what’s really going on. When compared with 30 months ago, the Shanghai Stock Exchange today has lost only roughly 1 percent in value. Compared with four years ago, it’s actually gained 9 percent in value. And compared with 20 years ago, it’s up almost 110 percent. The Shanghai Stock Exchange’s current loss in value stems from a number of things and isn’t limited to the increase in tariffs the Trump administration has placed on imports from China. In fact, the first round of these tariffs didn’t even begin until July. However, there are concerns over China’s growing debts and a number of industry scandals this year that have shaken investor confidence. As for the U.S.-China trade relationship, the numbers tell a different story. While U.S. GDP growth has been trending up, China’s growth has been trending down. China’s annual economic growth, as measured by GDP, was the lowest it’s been in 25 years at 6.7 percent. It’s slightly increased since then, and may even hold at 6.7 percent this year. But China’s economic growth will continue to slow, though it will likely stay above 6 percent until 2022. Yet, U.S.-China trade has been growing. In September alone, Americans purchased a record $50 billion worth of goods from China. Chinese individuals purchased $9.8 billion worth of American goods. American individuals who rely on products from China are increasing their imports before the White House imposes the next round of tariffs. And because America’s economy is strong, Americans can buy more imports. Due to years of heavy government interference, and not allowing for the free flow and efficient allocation of resources, China’s economy has actually grown too fast for its own good. Now China’s economy is correcting itself, and it’s something that will be reflected in both China’s GDP and its stock markets. Similar factors can contribute to both economic and stock market growth. For example, business and investor confidence can lead to new investments and boost growth. For example, it’s very likely that when Trump and Chinese President Xi Jinping meet at the Group of 20 summit in Buenos Aires, Argentina, at the end of the month, they will likely enter a new round of negotiations to end the quasi-trade war between the U.S. and China. Whether or not the future of these negotiations are successful, simply putting the trade conflict back on hold will be a short-term boost for stock markets in both the U.S. and China. Still, stock markets are not the economy, and nobody wins in a trade war. Let’s not overstate the impact tariffs have at reforming China’s economy.